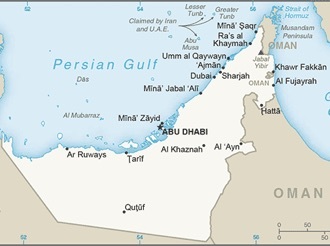 United Arab Emirates : When and where to go? It is hot most of the year, and the small size of the country means that climate changes are virtually non-existent, except for a slight temperature difference between the cities, all clustered on the coast, and the interior Land, which is desert. The most pleasant season, which can be described as winter, is between October and April, and the weather is fairly mild, which can be as low as 10 ° C on the coolest mornings, but reach 28 ° C in the afternoon. It can even rain sometimes during this season ... sporadically enough because the country knows only about 10 days of rain over a full year! On the other hand, from June to September, the summer season is torrid, with temperatures between 30 and 40 ° C, and sometimes exceeding 50 ° C. To this is added an important humidity difficult to support, greatly limiting the activities outside. Apart from their oil reserves and their reputation as a chic destination, the UAE offers a real tourist interest, mainly for the amazing contrasts they present to the travelers: mountains and deserts, beaches and oases, 'Avant-garde architecture, picturesque traditional markets, the 21st century borders on ancient history and sometimes destabilizes the tourist. There are a few must-see attractions that you can not miss: Dubai to start with, the wealth of glamor, the vibrant nightlife, where you will visit the museum in Fort Al-Fahaldi, and its exhibits on the history of the city , Or the souks, including that of gold, the largest of all Arabia, not to mention shopping centers that grow like mushrooms. Another lighthouse town is Abu Dhabi, a former fishing village that has become the most modern and richest city in the UAE. You will see the Al-Hosn Palace (or Fort Blanc), now a documentation center, the Cultural Foundation, with its library and temporary exhibitions, the fish market and the old souk. You can also discover Al Ain in the oasis of Buraimi, some remains of which date from the 4th millennium BC, its museum and fort, the cattle market, the camel market, and even attend a race of these camels precisely, If you go there in winter, unless you prefer to go on a camel safari and spend a night under a traditional tent. Sharjah and its great mosque, Ras Al-Khaimah and its green landscapes surrounded by mountains and sea, Shimal and the palace of the Queen of Sheba. Regarding the flora and fauna, you will mainly see wild goats and dromedaries, despite the presence of leopards in certain areas. The United Arab Emirates is served by daily flights to major cities in Europe and the rest of the world at the two main international airports located in Abu Dhabi and Dubai. A passport is sufficient to enter the territory if you are French, as well as a free tourist visa of 30 days which will be delivered to you on the spot. The currency in progress is the dirham of the UAE, or AED. For your budget, you can consider to find a very correct double room for less than 100 € and a good meal for ten euros. Obviously, respect the customs of Muslim law concerning clothing, public behavior and the consumption of alcohol or narcotics.